Christmas is that time of the year when everybody wants to get together with their family and loved ones and do some cosy, chit chat over meals. It’s also the time when you want to gift some tokens of love to all those who you hold dear to your heart. Women, especially love cooking tasty meals for their family and desserts are high on demand. 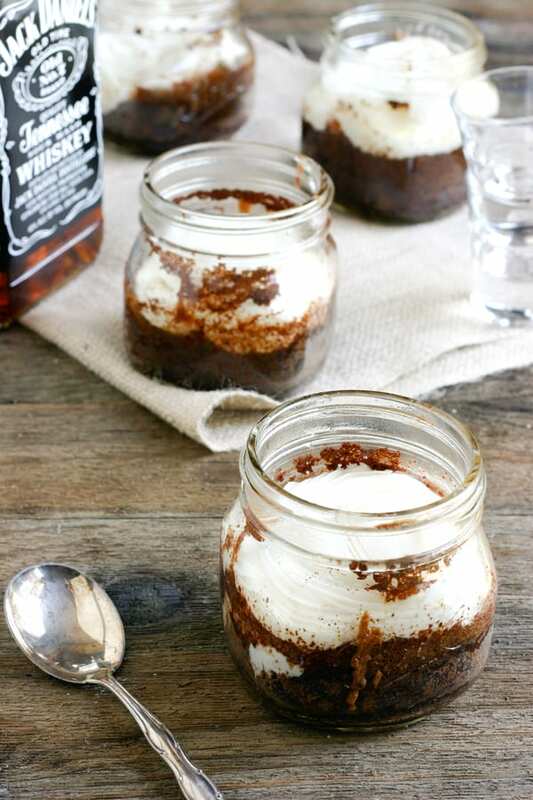 While you might already know how to prepare some really mouth-watering desserts, already. We are here with a number of ideas for you regarding how you can make your dessert look very presentable, too!! Below is a compilation of desserts served with lots of love inside cute looking glass jars.. This is one very interesting way of presenting and serving your special Christmas desserts. A mason jar is usually made out of glass or ceramic. For a beautiful presentation, a glass jar is preferable. 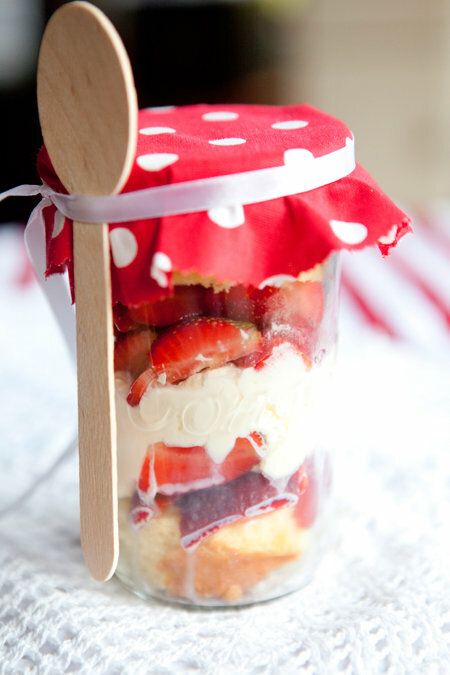 The Mason jar contains a White cream along with a Red coloured Strawberry tart. The top of dessert has ended in a pretty to look at swirl pattern with Pink coloured sprinkles of candies. Around the neck of the jar is a Red & White thread with an antique Golden coloured tinkling bell. The bell has a very Christmas inspired Snowflake cut out. 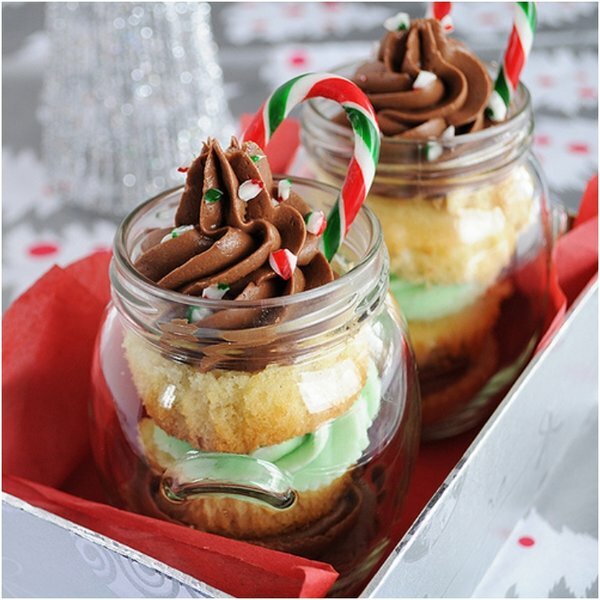 The beauty of glass jars to serve Christmas desserts is that the see trough glass allows the beautiful colours used in your dessert to reflect through. They say, appetite builds up right from the moment you see your food. Now, who would not get tempted by seeing the fresh Minty Green colour of the Mint mousse sandwiched in between two cupcakes. The cupcake has been incorporated right in the middle of the jar and looks extremely soft and spongy. 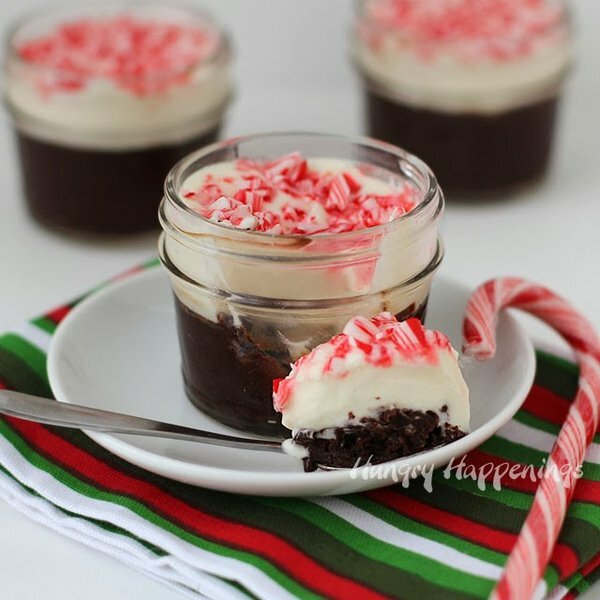 The Chocolate mousse looks tempting with all its swirls and the sweet candy cane. Some crushed pieces of the sweet candy cane have also been used to increase the beauty of the dessert. This jar that contains all the stuff that looks so yummy has the raw materials needed to make a cookie. 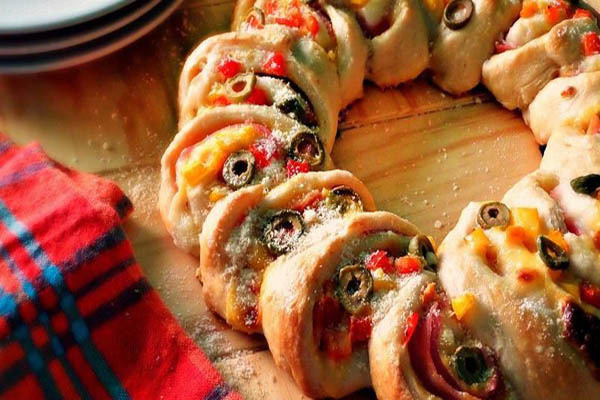 This probably has some roasted flour, brown sugar and m & m candies that need to be mixed with a batter of beaten eggs, vanilla extract, unsweetened butter and peanut butter. This batter needs to be then put in cookie moulds and baked for around 12 to 14 minutes. 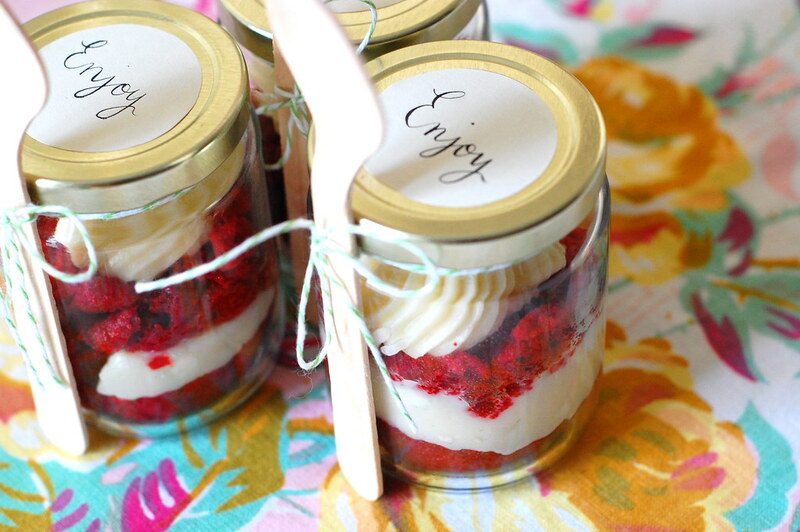 You can gift this mason jar to somebody who is fond of cooking and baking. The jar has a refreshingly Green coloured label that describes the method of preparing the cookies. Wrapping it with a Red coloured blingy ribbon seems like a perfect idea. These chocolate cup cakes are one of the best desserts that you can serve to your loved ones. The rich flavour of cocoa powder turns out as a rich, dark Brown colour of the chocolate cup cake. The White Chocolate can be melted in a double boiler and poured over the Chocolate cup cake and then some candy cane crushed chunks can be sprinkled over the White Chocolate. 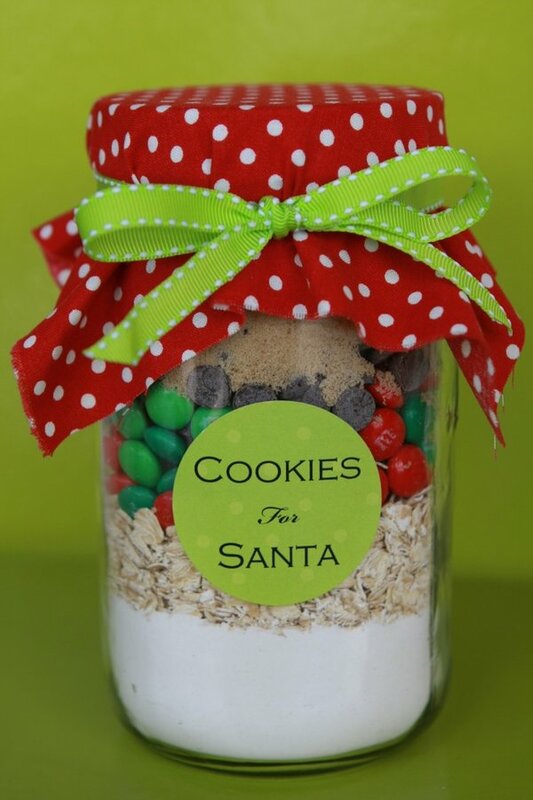 The jar contains a mix of all the dry ingredients that are needed to bake a cookie. The top half contains many partly crushed pieces of peppermint flavoured candies. The jar has been dressed up in a Black coloured, wide Santa belt that has a Red coloured buckle. The lid of the jar has also been decorated with a round, cut out of a shimmery Red paper. These dry cookie ingredients have to be mixed with the liquid components to make a batter of uniform and workable consistency. 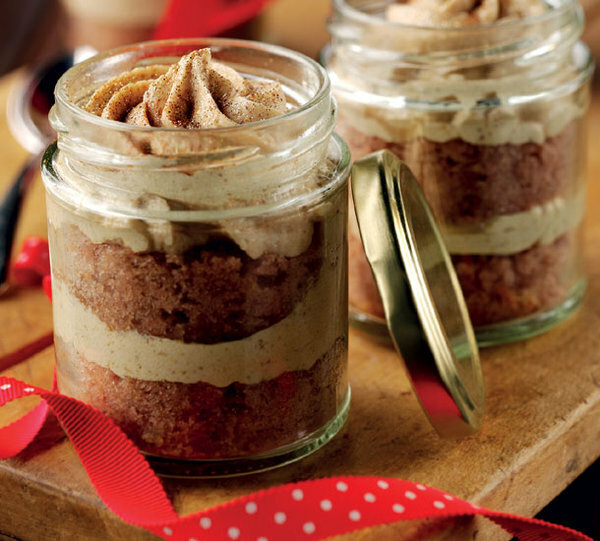 This dish has been rightly named as Christmas in a jar. It has the rich, aromatic flavour of dark Chocolate cake. The whipped cream balances the strong aroma of Chocolate by it’s subtle sweetness. Cinnamon powder has been tastefully incorporated in the whipped cream that not only looks beautiful but imparts a very intoxicating fragrance to your dessert, too. Strawberry velvet cake cannot be served in a more tempting way than this. 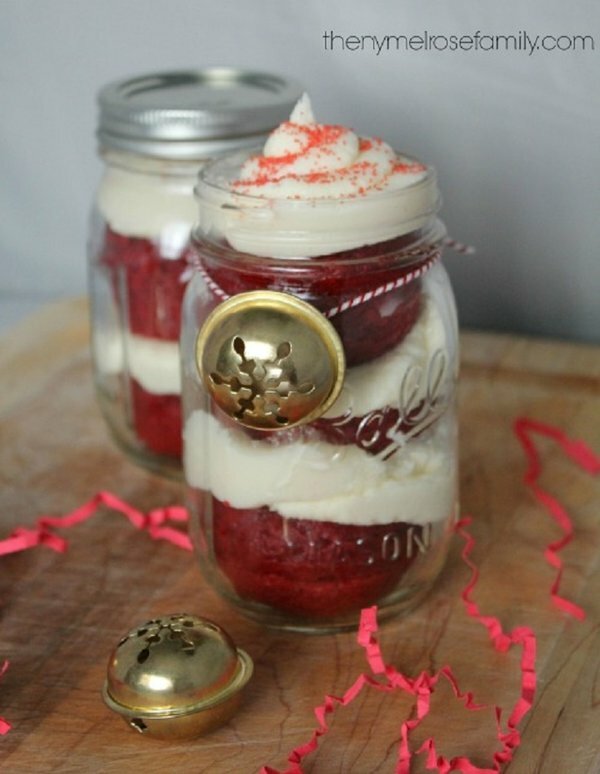 The jar has a layer of Red velvet cake followed by a layer whipped Vanilla cream. Another layer of the fragranced Velvet cake is followed by White chocolate. The lid has been decorated with a slip of paper that carries a message which says, “enjoy”. A light Green coloured string has been used to wrap a wooden spoon around the jar. A very thoughtful gift. There cannot be a better way to enjoy a treat of freshly cut fruits on Christmas day. Slice some fresh and juicy Strawberries along with Apples, if you want. You can also put some dried Apricots or Raisins. 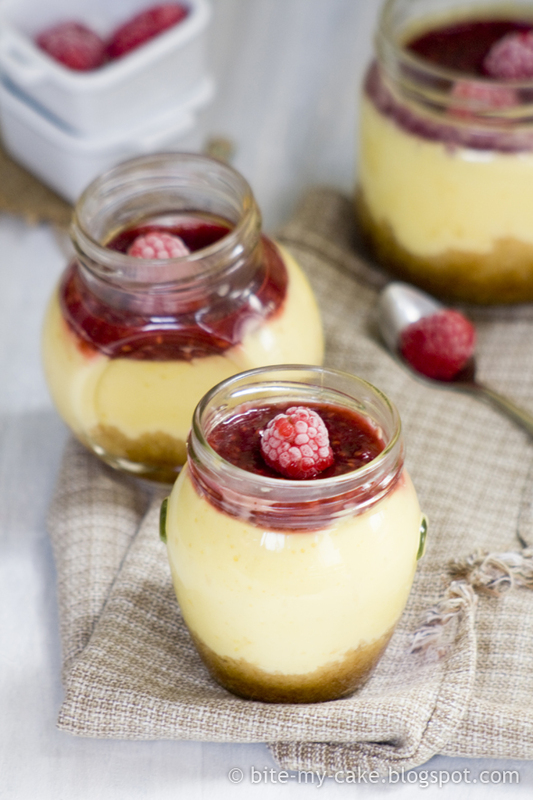 Nicely Whipped, lightly sweetened Cream or thick, flavoured Yoghurt can be put in your Glass jar, too. 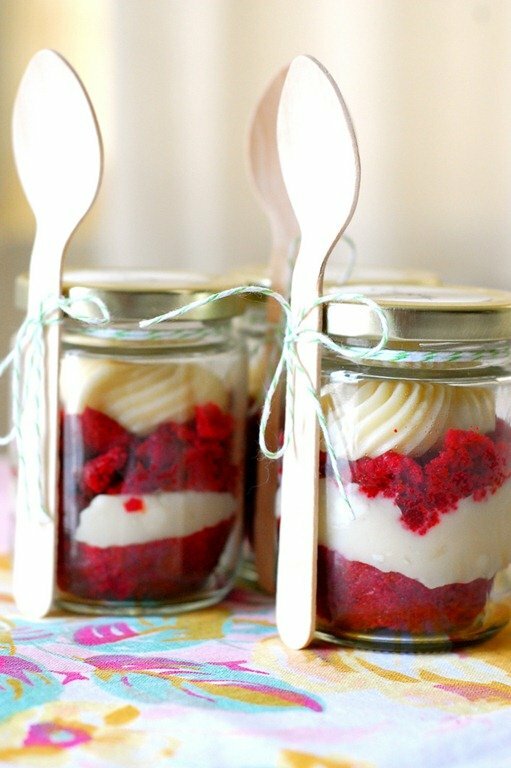 Use a piece of wrapping paper or Cloth to cover up your jar and a satin ribbon to wrap a wooden spoon for your loved ones to relish their dessert. This lovely looking dessert follows the Red and White Christmas colour scheme. Velvet cake has been alternated with layers of whipped cream and molten White chocolate. A piping bag has been used to create the swirls of White Chocolate on the very top of the dessert. For those who have a taste for Whiskey, this cake is a must to try for it’s different kind of flavour and aroma. Top up this cake with freshly whipped cream to balance out the malty flavour of the brew. 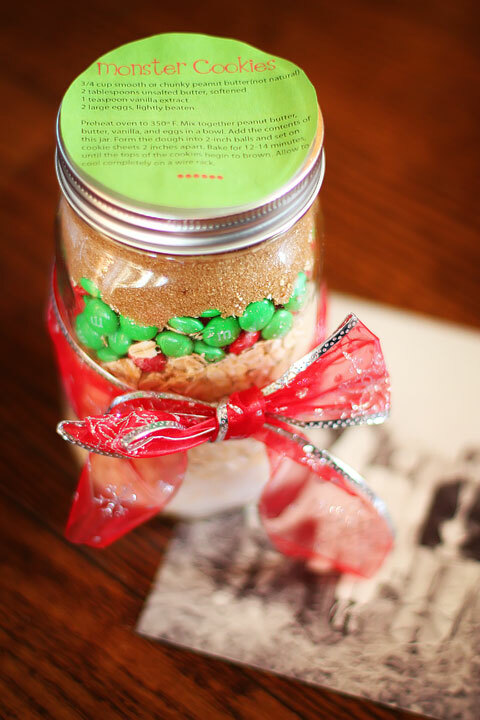 This jar contains three yummy layers of Christmas delights that will be relished by one and all. The bottom most layer is made out of Vanilla or Pineapple muffin, just a guess since it is the creamiest White. The second layer is done with a mix of dried fruits and nuts. The topmost layer has been one with dried mangoes and Apricot pieces. 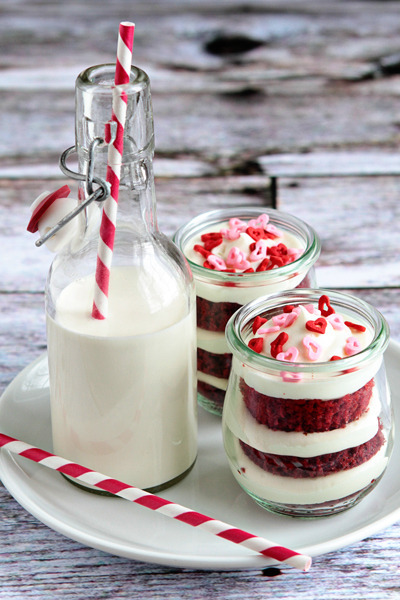 Sweetly flavoured Vanilla milk with a candy cane stirrer looks just perfect when served with a stratified Red velvet cake in a jar. The Alternate layers of Red cake and White mousse look very Christmas like!! The topmost layer looks amazing with all the confetti sprinkles and heart shaped sweet treats. Plain custard in bright Lemon yellow topped up with tangy Strawberry tart is just what you need to tickle your taste buds after a delicious Christmas dinner. It is beautiful to look at and has very appetite encouraging colour combinations. The frozen Strawberry on the top looks like an icing on the cake. Custard is light on stomach and is liked by all. This is such a nice gift for somebody who has a liking towards baking. The jar contains almost all the raw materials required to bake delightful cookies. 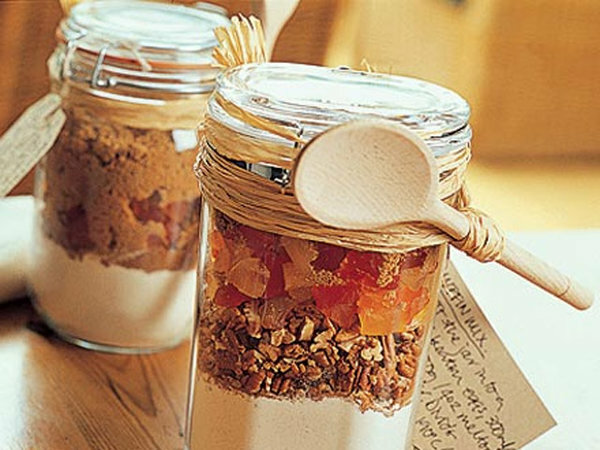 Flour, baking powder, Dry fruit mix, muesli, chocolate chips, Colourful-sugar coated candies and chocolate powder everything packed and presented beautifully in a compact, glass mason jar. 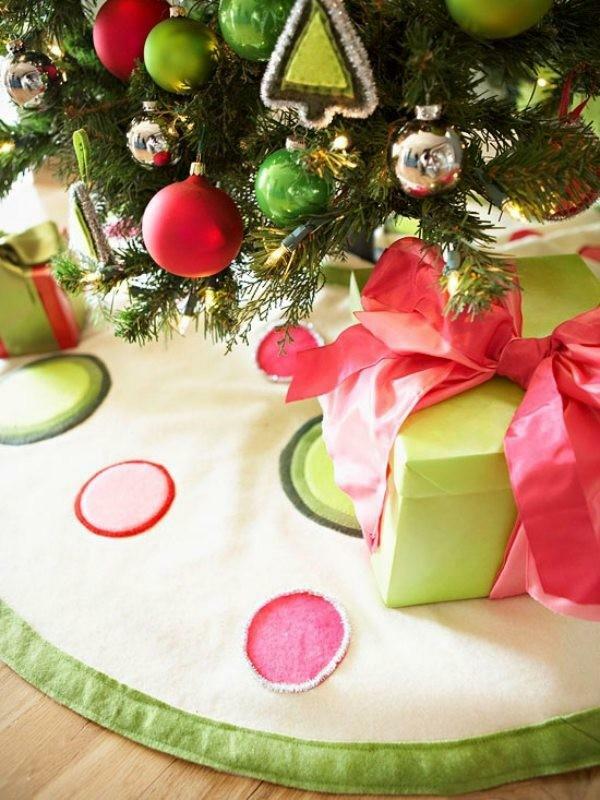 The wrapping cloth follows the Christmas colour scheme of Red, White and Green.